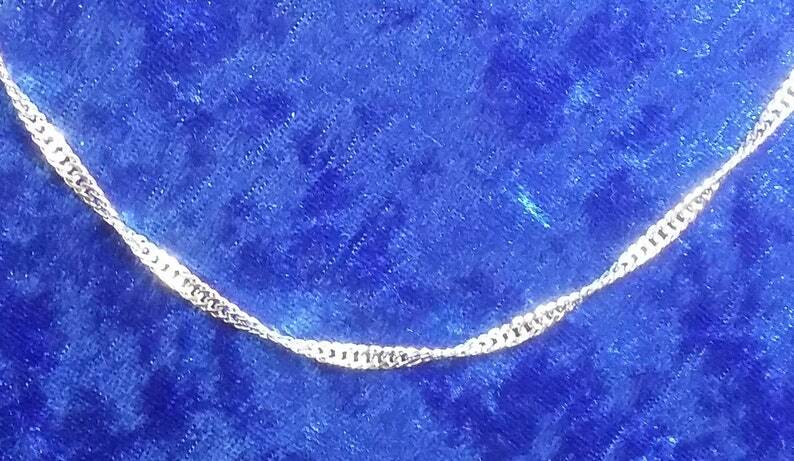 This post is for Part #180, known as a "Diamond Twist Chain" by name. It is made of 100% pure surgical stainless steel. It measures 3.0mm (millimeters) thick. For those of you who need a better idea of its size, we used a common U.S. quarter in the pictures attached to this post. We apologize for the fuzziness in the attached pictures, but it's difficult to take good photographs of chain this size. This chain is entirely silver in color, though the pictures don't do it justice! The chain design is made up of a lot of small, but very strong evenly round links.